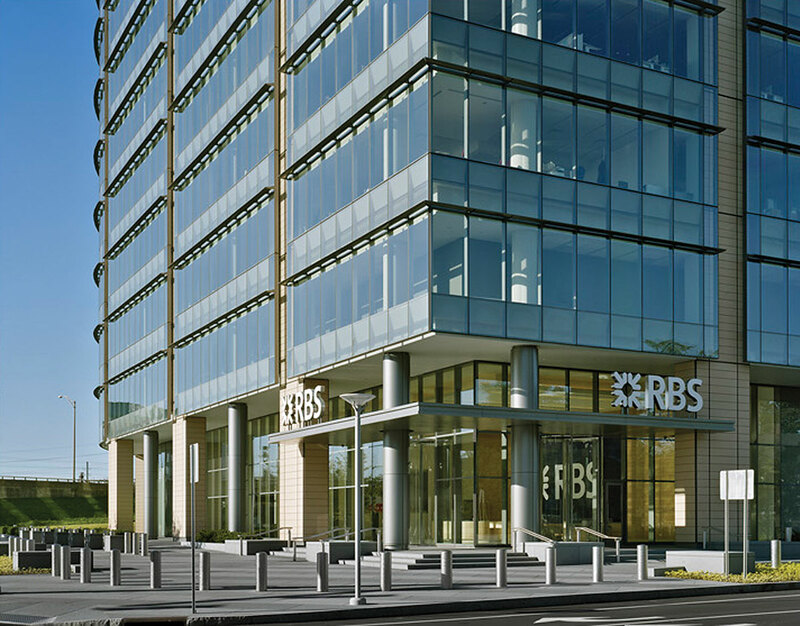 Royal Bank of Scotland is a 12-story, 540,000-square-foot office building located in downtown Stamford, CT. 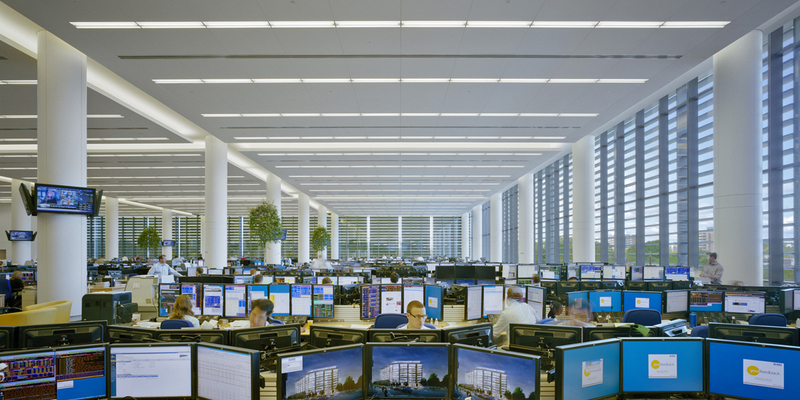 Designed by Roger Ferris + Partners, the curved glass and steel-clad building includes a 95,000-square-foot, double-height trading floor to accommodate 1,000 traders, a rooftop garden located above the trading floor mezzanine and 25,0000 square feet of improved public space along the Mill River. 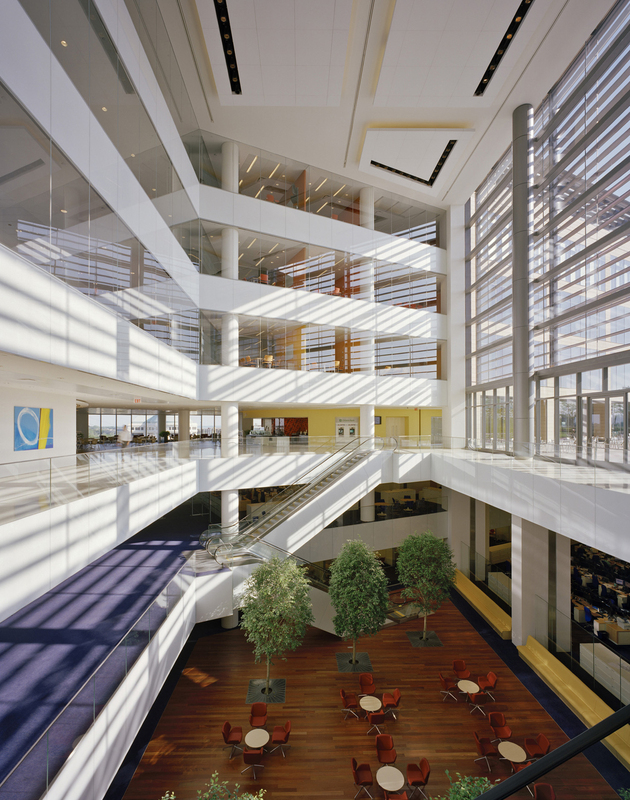 A public piazza with decorative pavement, landscaping and lighting enhances the pedestrian experience in and around the building. Parking is provided in a 1,200-space garage. 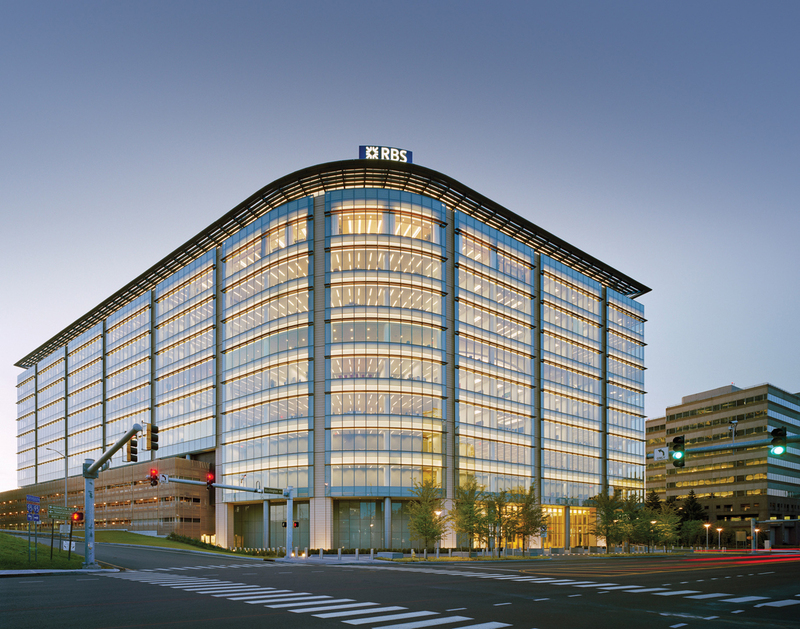 The building was completed in 2009.